Finally this time will feature my cooking. I'm not particularly good in cooking any cuisine, but I have to say Chinese soup is one of my strong suit. 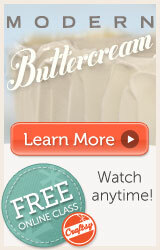 I learned most of my recipes from my mom and of course the www. I'm usually heavy handed in ingredients, quirks from my mom and grandma of course. But more ingredients means more flavor so it's all good. Most of the time I don't even have to add salt in the end, because it's already do flavorful! 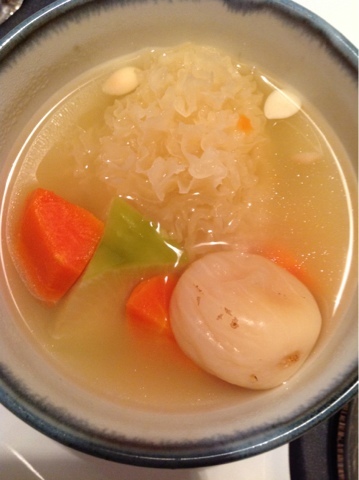 So this is a soup with red and green carrots, white fungus, dried figs and almonds. It's great for the spring time, it smooths the throat and it's light and sweet. Depending on what meat you use as base, the soup can be pretty much oil free. Also, I prefer buying my dried ingredients in those Chinese dried seafood stores. They are much better quality than the supermarket. So here is a picture for you to see the looks of my soup, clean, simple and yummy! Stayed tuned on the recipe page for a recipe soon! !